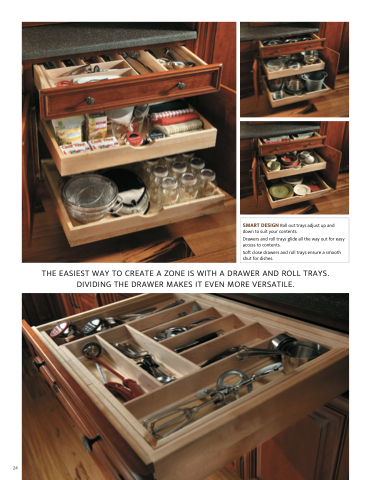 THE EASIEST WAY TO CREATE A ZONE IS WITH A DRAWER AND ROLL TRAYS. DIVIDING THE DRAWER MAKES IT EVEN MORE VERSATILE. Drawers and roll trays glide all the way out for easy access to contents. Soft close drawers and roll trays ensure a smooth shut for dishes.